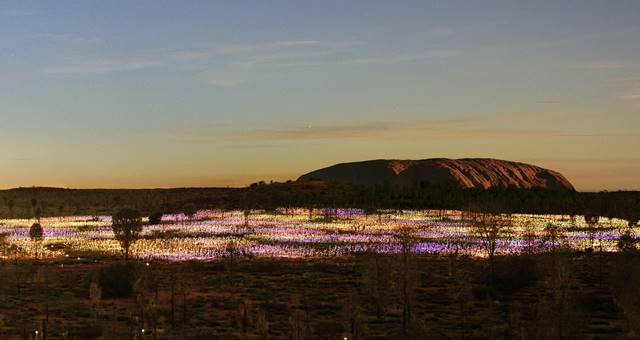 Bruce Munro’s Field of Light Uluru installation has been extended until 31 March 2018. 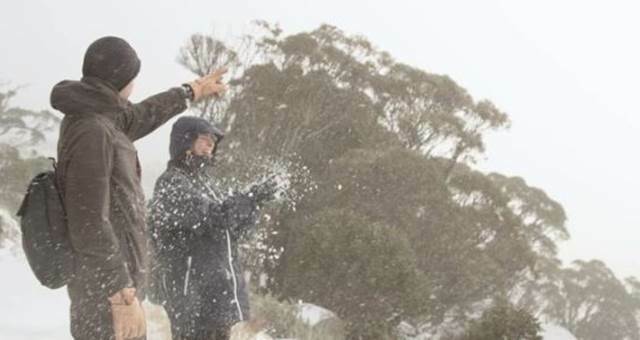 The award-winning exhibition opened to critical acclaim in April this year and has exceeded all expectations in terms of attracting visitors. 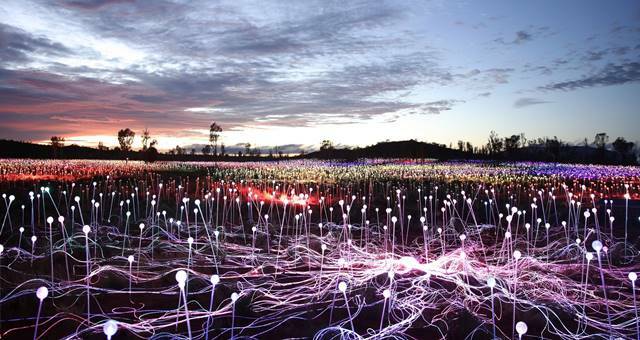 “Since opening almost 100,000 guests have been deeply moved by the Field of Light, it’s hard not to be. 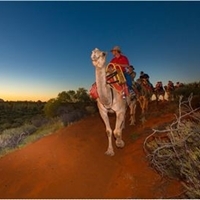 I am delighted to announce the extension as an extraordinary opportunity for guests to enjoy not only the spiritual nature of the destination, but experience it in a unique and mesmerising way,” said Voyages executive general manager sales, marketing and distribution, Ray Stone. 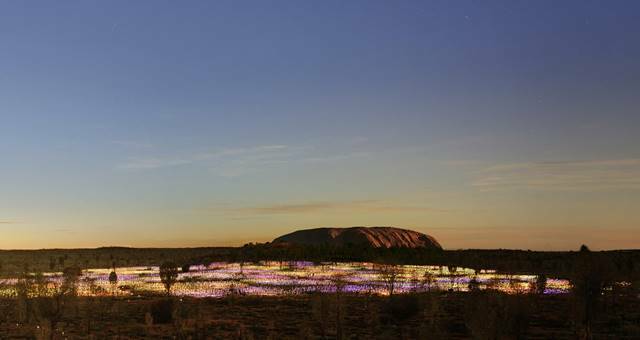 The exhibition, aptly named Tili Wiru Tjuta Nyakutjaku or ‘looking at lots of beautiful lights’ in local Pitjantjatjara is Munro’s largest work to date, with more than 50,000 slender stems crowned with radiant frosted-glass spheres over an area the size of four football fields. 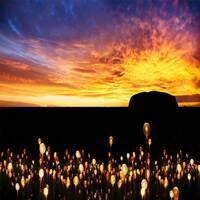 It is also the artist’s first work to be illuminated entirely through solar power. 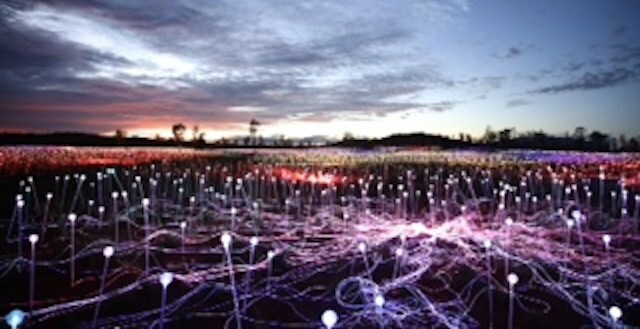 The spheres, connected via illuminated optical fibre, ‘bloom’ as darkness falls. Guests can enjoy the field in a number of ways – a Field of Light Pass includes transfers, a Star Pass includes transfers as well as sparkling wine and canapes, and for those wanting a special evening under the stars there is A Night at Field of Light dining experience that includes transfers and guests can also arrive via helicopter or camel for an additional charge. MICE-specific packages are available upon request.